How might me make people aware of intangible luxury? Providing the aromas of nature, this luxury water accessory transports the user to a place of serenity during their moments of free time. Reflecting its history, the material used in SCENT will reveal polished steel with the passage of time. These qualities will transform SCENT into a luxurious companion in the sauna, and a way to both create and store memories. Through the use of water’s physical states, SCENT can be used either to emit scented steam or water. The smooth curvature of the base alludes to the fluid state of the water, completing the form as a reflection of the process. SCENT is a sauna accessory which dispenses either scented water or steam. The person which is using SCENT can choose between the water and steam mode to have the freedom of adjustment. It is reflecting the physical state of water in it's shape. Therefore SCENT has a smooth bottom part to reflect the fluid state of water and the further on in the process the more precise the shape is becoming. Luxury can either be tangible or non-tangible. Luxury can be found in either quality or quantity. Luxury is highly depending on the context, it incorporates the highest form of needs. The user experience should be a rich experience and a simple interaction. So it has to be simple and yet complex. One point is in which context will the product be used. This part can not be defined so the impact on the project was to make a timeless product. SCENT has the ability to age with the user. A special coated main body allows scratching it without loosing value. Scratches on the main body will reveal polished steel underneath. This allows the user to remember memories and also create new ones over time. The interaction process for SCENT is a mechanical process with no digital component. It started by unscrewing the top from the bottom. Organic herbs will be put in the sieve of the top part, they can be chopped up but doesn't have to be. The bottom part will be filled with water. After this, both parts can be screwed together and placed on the hot sauna stones to start the SCENT process. To switch between modes the user can just push the grey top part downwards and SCENT is going into steam mode. It can also be changed during the process of water enrichment. So the user can easily change from water to steam mode. To fill up the SCENT canister with herbs. The user can just unscrew the top part by grabbing the handle. Afterwards he can unscrew the sieve and fill it with herbs s/he likes. If cleaning is nescessary the parts can easily be disassembled and cleaned. In the water mode, water gets pushed through the herbs due to pressure. It is then guided upwards and follows the outside form of the body down to the hot stones. As soon as it touches the stones the SCENTed water changes state and turns into SCENTed steam. If SCENT is set on steam mode the water will turn into steam due to the heat of the sauna stones. The steam is then guided through the herbs and will take on the essential oils from them. The user will smell and taste the SCENT in the air. Another major part for this project was to create a mechanical build up. Currently there is no similar product for comparison out on the market therefore this is the first draft of a possible build up. In the future it is nescessary to minimize the parts and maybe make the build up smarter. The first thing was to do a general research as a group. We got split up in teams to each three people and different topics were discussed. After this the teams were coming back together and shared their findings and insights. At the end of the group research, we made a brainstorm session guided by Thomas Degn. Next to the research we analysed current water taps and other brands. Sharing insights with the class. All the different research boards. Studying current solutions and products. The Blue Ocean Diagram revealed a possible target spot where to move with the brand Mora. Currently it is to less differentiated from other brands in the water tap market. Mora is also too close to FM Mattsson Mora Group brands so the risk of cannibalising themself is currently high. Two strategies would work to bring Mora out of this situation. Either go more niche into the high quality luxury segment like Hans Grohe Axor. 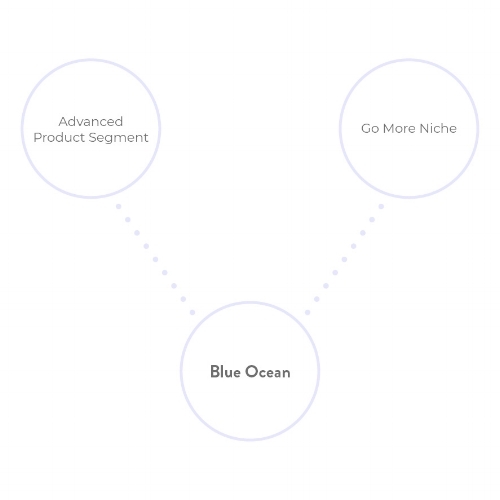 The other option is to go into a different product field and provide luxury through different products in a new environment. A Photo Sketching Movie was the preferred technique for prototyping the interaction. The first thing was to make a foam model for reference and proportions. After the model making part a step by step photo process from the interaction was taken and sounds recorded to emphasize the interaction. Later on they were edited with Adobe Premiere and After Effects to create a stop motion movie out of it. During the exploration phase different mediums were used to create and define ideas. The first step was to start sketching to bring raw ideas on paper for validation. The more complex ideas got then and more refined. Thereby different methods of exploration were used. In the first week three global concepts were generated with a different concept and background. After this it was narrowed down to one concept and it went into the refinement phase. During the refinement phase a lot of hands on prototyping come in place handy - from cardboard models to foam mockups. Digital sketching on a Wacom. Cardboard models to prototype 1:1 proportions.